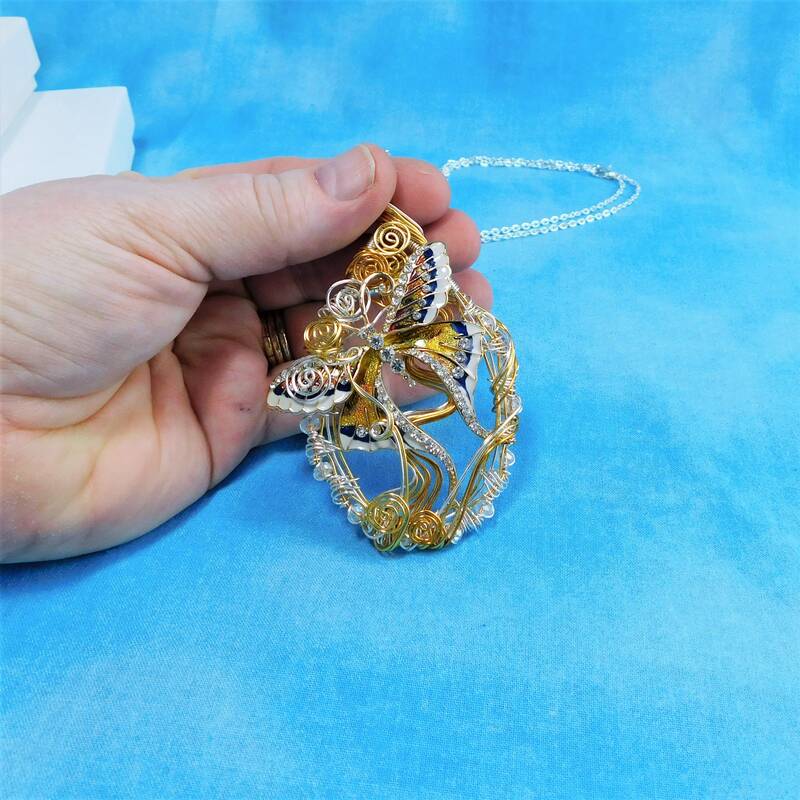 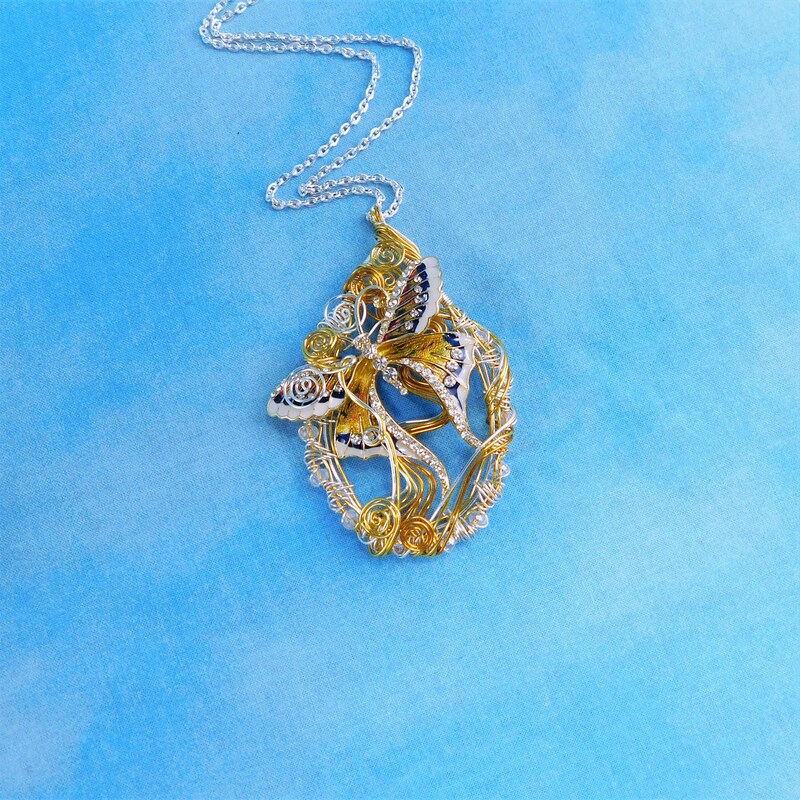 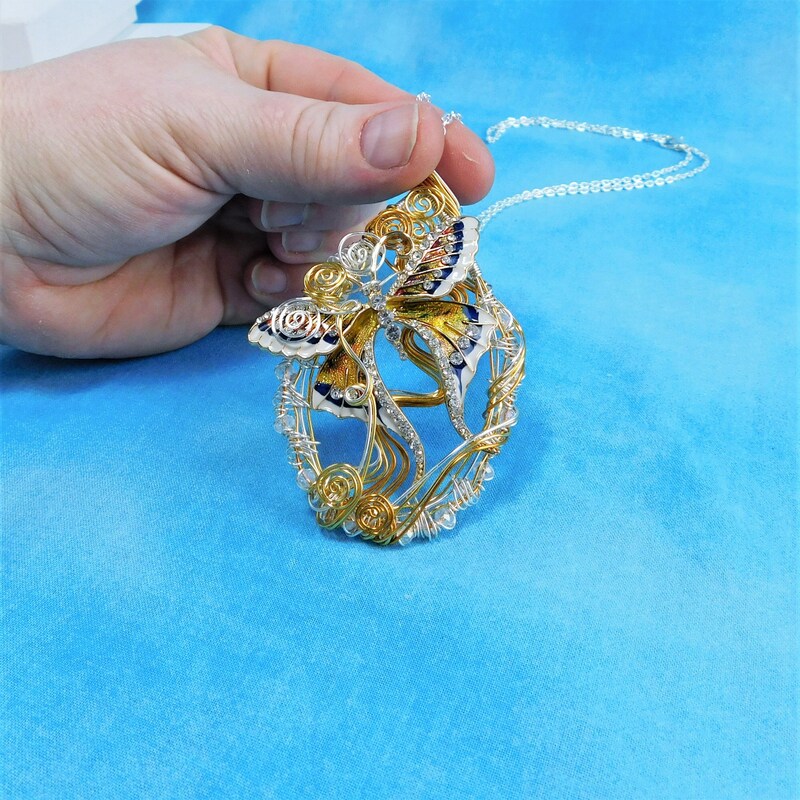 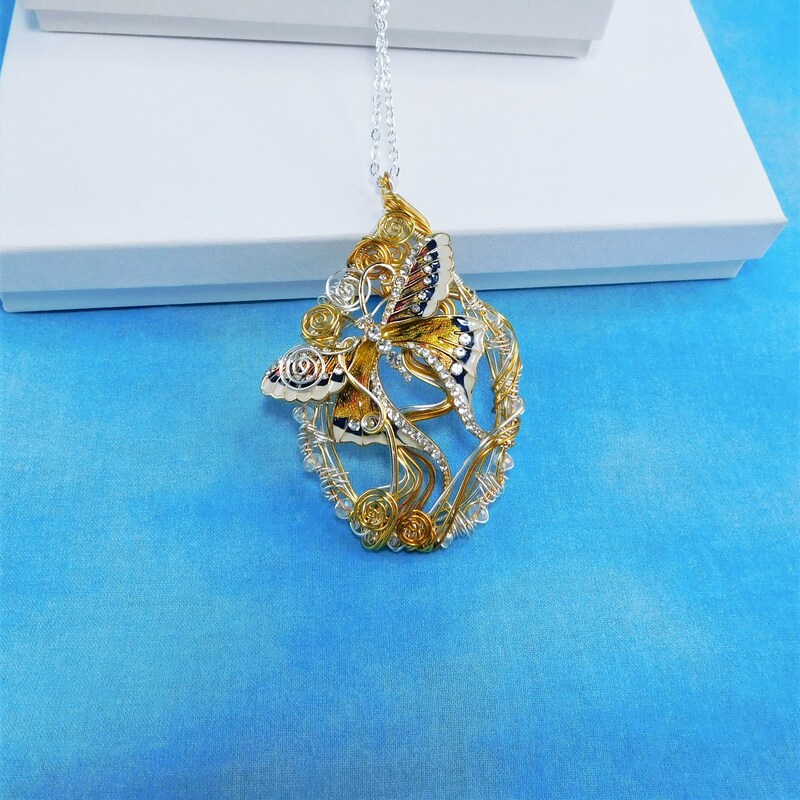 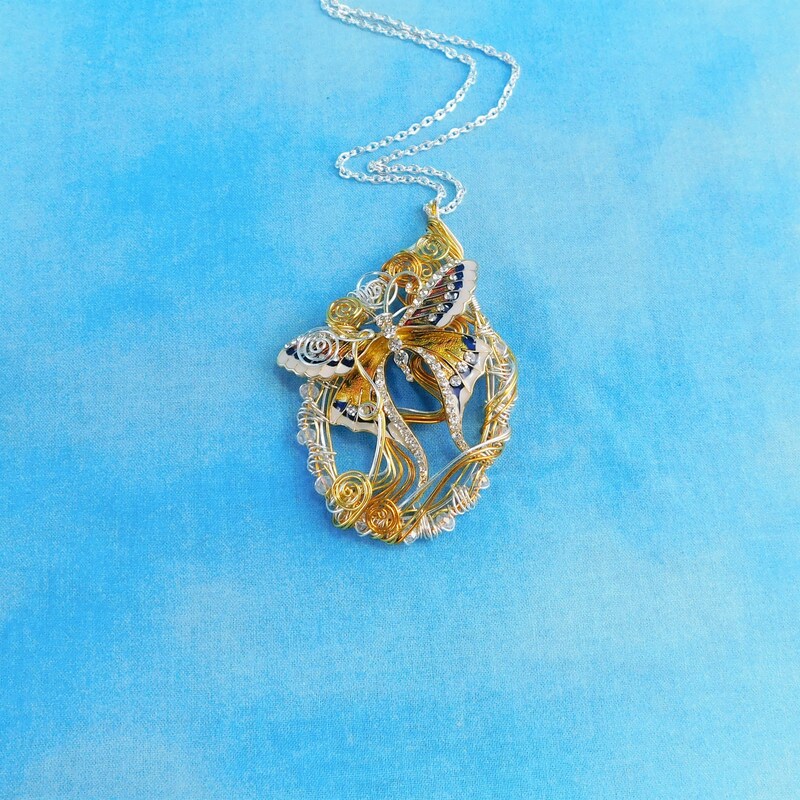 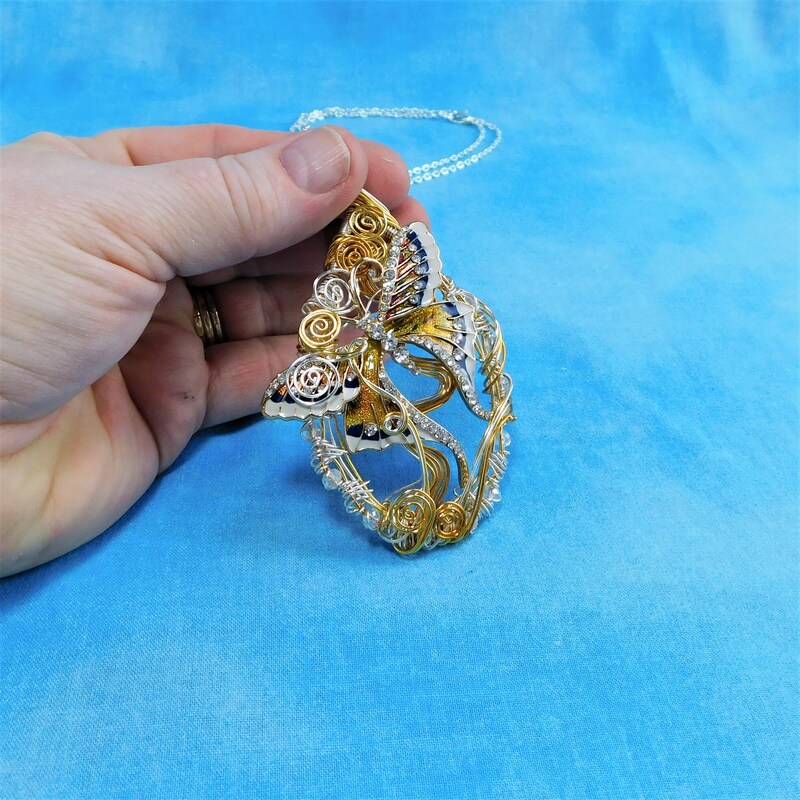 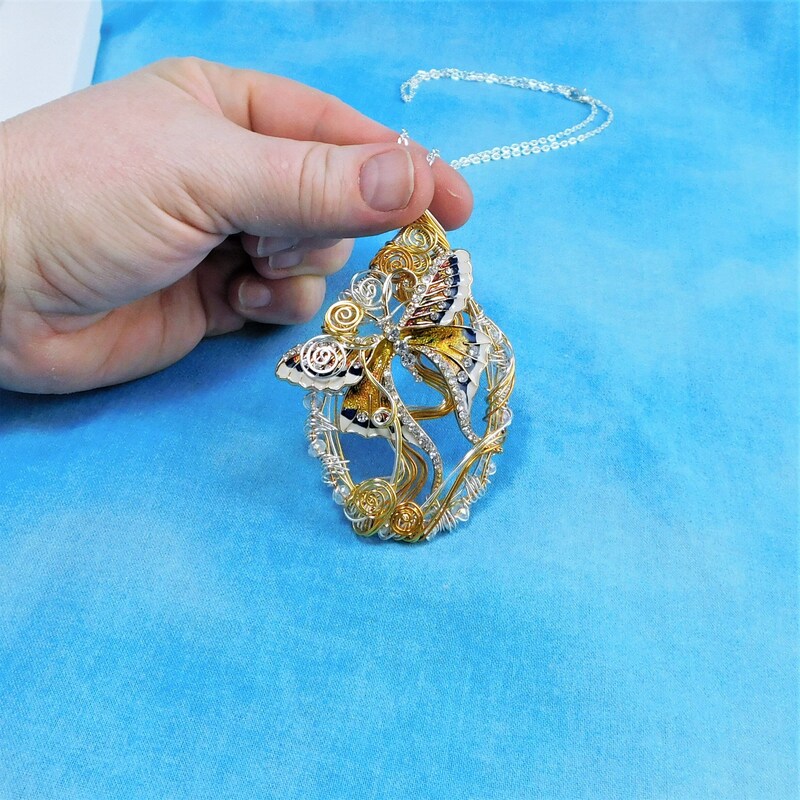 Non tarnish fine silver over copper and gold copper wire is meticulously hand woven and sculpted to frame a blingy, rhinestone encrusted, beautifully blue and cream enameled, gold butterfly. 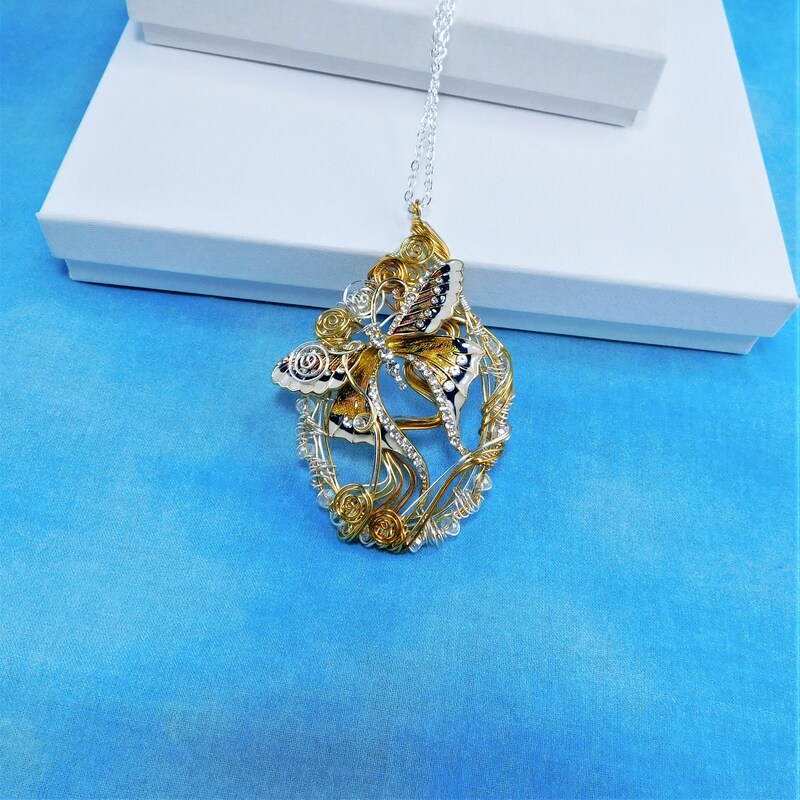 The butterfly appears to flutter among artistically hand sculpted, silver and gold vines that are framed with intricately interwoven crystals. 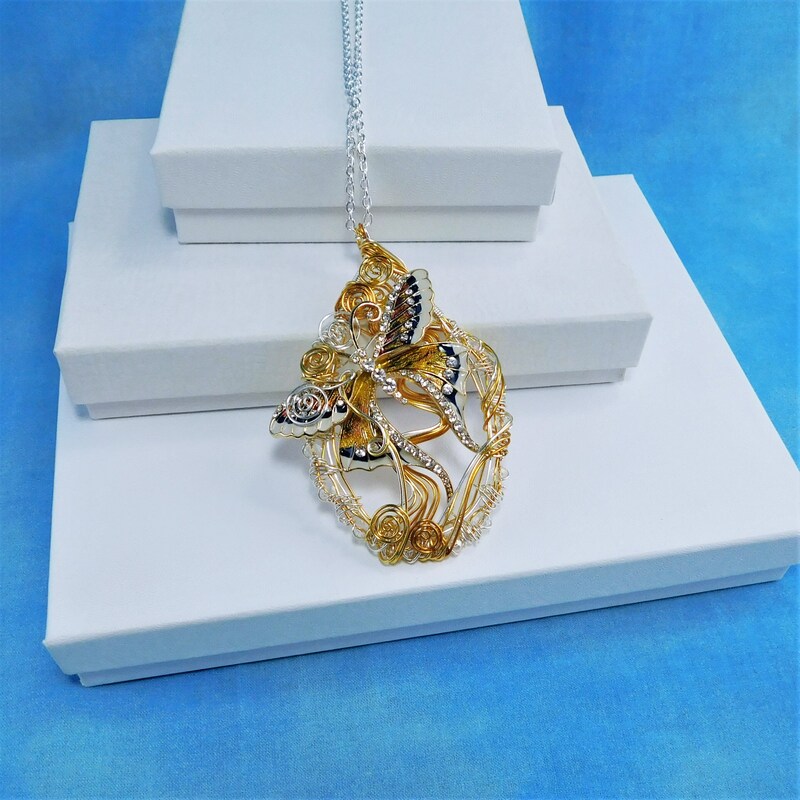 This is a large, substantial, yet delicate statement piece that would be a lovely focal for any of the pieces of a woman's wardrobe. 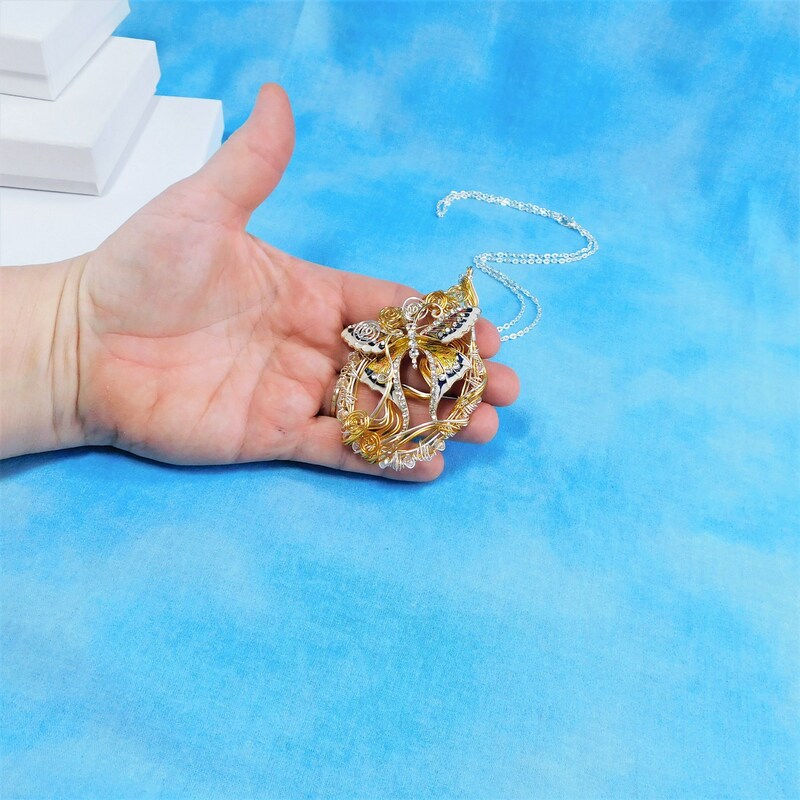 The pendant measures 3 inches by 2 inches and comes with a FREE coordinating chain with lobster claw clasp, measured to your preferred length.